May 14th, where are you? Most seniors of the class 0f 2019, (including myself), are ready to graduate and begin the next chapter of our lives. Universities and/or colleges have been chosen, and new career paths are ready to go. But if everyone is ready to kick start this next chapter, what’s holding us back? Staying at school for an additional 4 months. “I feel tired all the time and have no motivation for the busy work I get in some of my classes. I have all my credits so I feel like I’m just here for my friends at this point,” senior Olivia Rumans said. Everyone’s senior year is different. It can be rough, smooth, busy, or rushed. Some people take easy or fun classes to fill the gaps in schedules. When you have all your credit or close to having all of it, however, it can seem like a never-ending year for seniors. “I don’t feel like getting up most mornings because it feels like each day is repeating itself,” Rumans said. 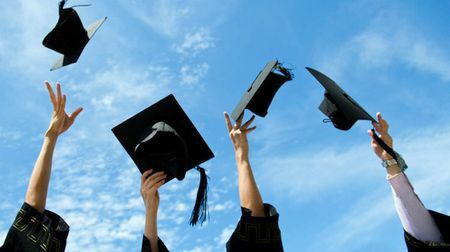 For most students, their senior year seems pointless since they are practically done and are ready for that fresh start. “At this point, I really do not want to do anything that involves school. I just want to sleep in every morning and be done with this year,” senior Amir King said.